Product categories of Coupling Assembly, we are specialized manufacturers from China, Coupling Assembly, Universal Shaft Assembly suppliers/factory, wholesale high-quality products of Double Universal Joint R & D and manufacturing, we have the perfect after-sales service and technical support. Look forward to your cooperation! 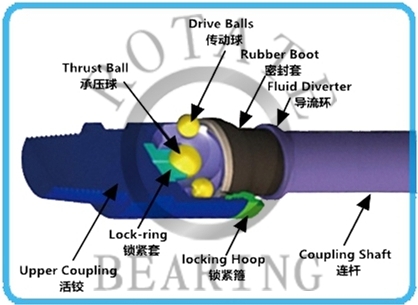 The function of coupling is to convert planetary motion into fixed constant rotation of drive shaft, to transmit torque and speed from motor on the drive shaft,and to the bit.Coupling Assembly mostly use flat shaft,but some are flexible shafts.Rotate flat type shaft used on our Downhole Motor is made by linear cutting technology.So the cut has high parallelism.Its roughness can reach 6.3 and it doesn't damage metal chemical composition.Thus,it has longer running life and less mechanical loss. 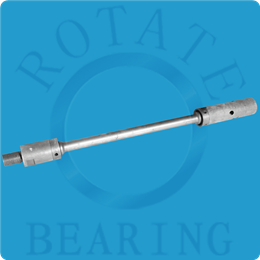 ROTATE ball drive Coupling Shaft is suitable for ABH (Adjustable Bent Housing).